You will find a wide range of drinks on offer with something for everyone, including a great wine list and a range of well kept cask ales. We have a range of great wines which represent both excellent value and quality, from everyday drinking to something special. 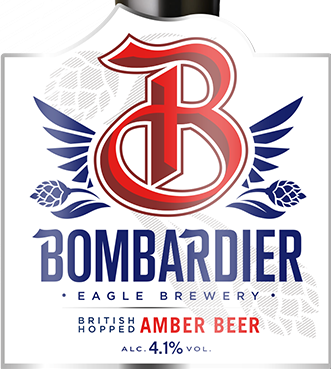 Bombardier Amber Beer is brewed using the finest British Hops and fresh mineral water from the Eagle Brewery Well. A fruity aroma and rich malty taste provides a crisp, mouth-watering beer. Tangy fuggles hops and sultana fruit flavour finish off the palate. An amber coloured conversational bitter with a distinctive ‘Challenger’ hop flavour. A pint of bitter that gives you a full range of complimentary flavours and a dry finish that leads you smoothly into your next pint.